Francis-Barnett - I Say Ding Dong Shop - Buy Stickers, Decals & Unique Automobilia. Castrol Wakefield Pre'58 2 Stroke-Cycle Motor Oil Cream Stickers. 2" Pair. Francis Barnett Curved Gold Cut Text Sticker for Motorcycle Front Number Plate. 10". Francis Barnett Flag & Scroll Sticker. 3.75". 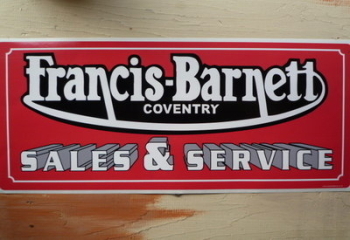 Francis Barnett Sales & Service Sticker. 23.5". 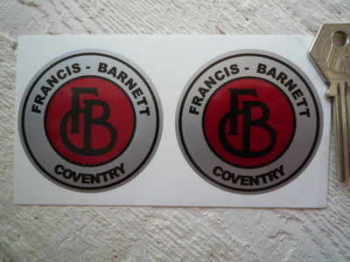 Francis-Barnett Coventry Round Stickers. 60mm or 70mm Pair. 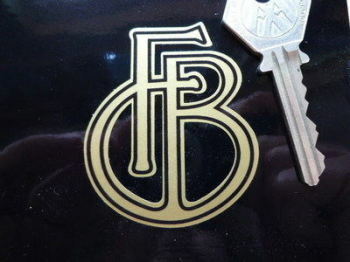 Francis-Barnett 'FB' Logo Sticker. 2". Francis-Barnett Champion Spark Plug HT Cap Cover Badges. 29mm Pair. 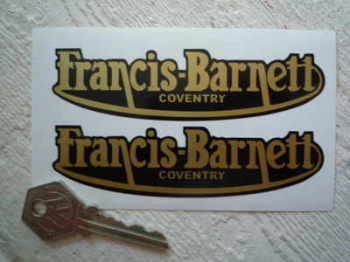 Francis-Barnett Gold Script Stickers. 3" or 4.5" Pair. Lucas Vertical Text Battery Stickers No.37. Various Colours. 3". 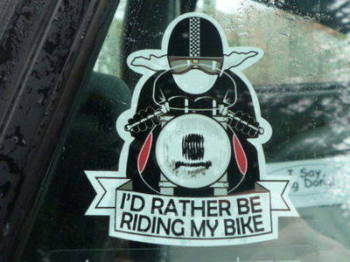 The Parts Falling Off This Motorcyle Are Of Finest British Quality Funny Sticker. 3". Villiers Large Black & Silver Oval Sticker. 17".